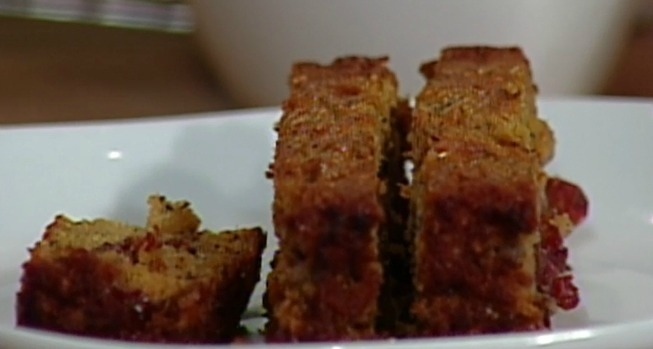 May is Celiac Awareness Month, so here’s a gluten free quinoa banana bread recipe. Very tasty! 1. Heat oven to 400F and grease a medium loaf pan, set aside. 2. In a medium bowl, mix together quinoa flour, quinoa flakes, baking powder and baking soda. 3. In a separate bowl, mix together honey, bananas and eggs. 4. Mix dry and wet ingredients together just until moist. Stir in cranberries. 5. Pour into prepared loaf pan. Bake 25 – 30 minutes or until a knife inserted in the center comes out clean. Cool on a wire rack. Quinoa flour and flakes can be found in the Natural Source section of your grocery store. You could easily freeze this loaf into portions and pull out for a quick snack.